I’m always happy to post about wine tasting, particularly when it’s me doing the tasting. So the rise of Vinoa is perfect for me. I have something of a mixed record when wine tasting at home. When I organise it, it’s great, when other people do it… well, not so much. 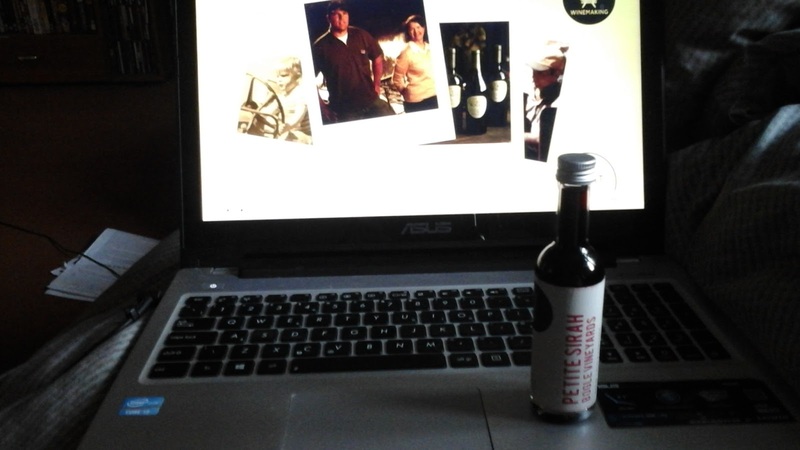 Vinoa are a new company that send you out a box of wine a month and then you can follow their guided tastings online. It’s a great little concept so I was chuffed that they were prepared to send me a box to trial for free. 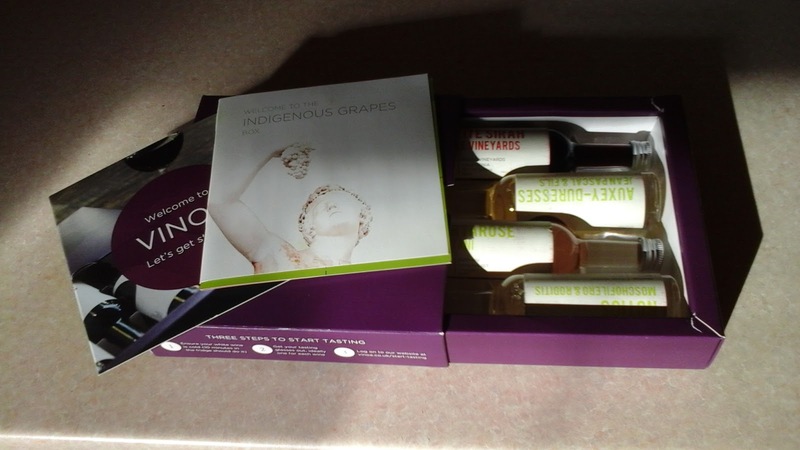 I received the indigenous varietals box to sample. Each month you get four 50ml tasting bottles. This one took me pretty much all the way around the world – to Greece, Italy, France and California. 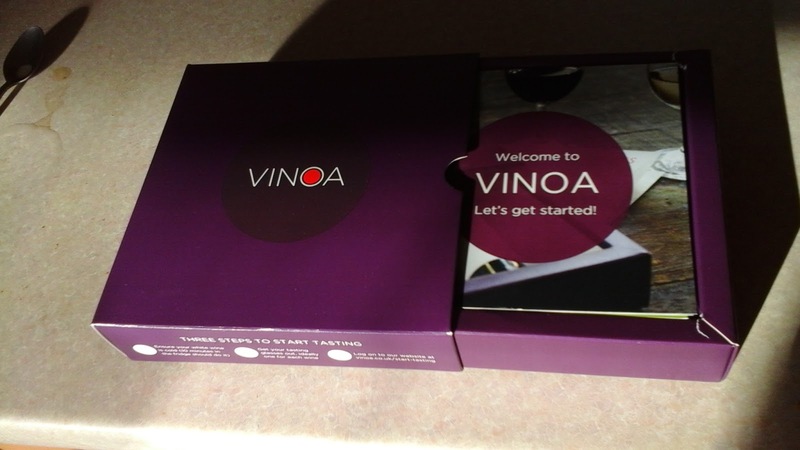 When you open your box you’ll find not only your wines, but a small booklet explaining them and lovely, lovely money off vouchers allowing you to purchase full bottles of the wines from the Vinoa website. The founders of Vinoa want to share with you their wonderful experiences in travelling the world, tasting wines and now believe they have perfected the rebottling process to allow you just that experience in your own home. The actual box itself is small enough to fit through your letterbox (although my postie wimped out and we had to go and collect it from the post office – it totally would have fit). I was very impressed with the packaging, you do feel like you have received a very special gift. 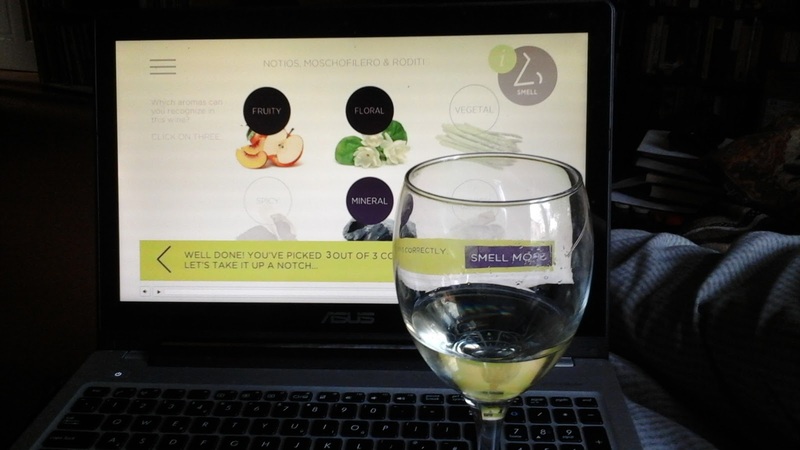 I couldn’t wait to get started, but sadly life got in the way and it was a little while until I had the spare time to sit around drinking wine and watching the additional online content. The videos are perfectly informative, with cute if slightly naive presentation and narrative. For each wine you’ll hear a very personal account of why the wine has been chosen to fit the theme of the month as well as more information being available about where the wine comes from, the way it is made and the specific varietal or winery involved. It’s a great introduction to new wines that you would not ordinarily see on the shelves of your local supermarket and reassuring that if you like one you can actually purchase the full bottle from Vinoa. After you hear the context of the wine you are guided through the tasting (if you’re short on time, there is an express version of the tasting available). First we examine the look of the wine, then on to the smell, where you have an interactive section to pick your choice of the main characteristics first in wide view (floral, fruity, woody, mineral etc.) and then down to the finer detail of what the elements of that smell are. After that you finally taste the wine and use slider bars to characterise your thoughts on various parameters, like the acidity, sweetness, tannins and body. 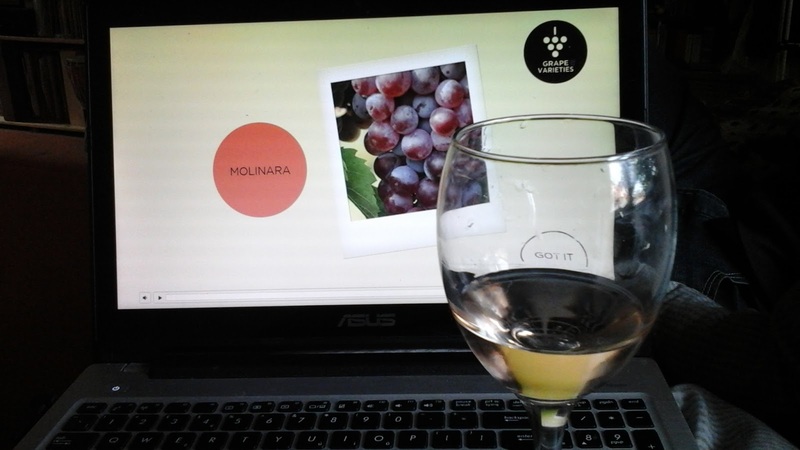 Each time the programme then shows you how Vinoa scored the wine and their thoughts on the wine’s characteristics. It’s a little bit of fun and a little bit of sensory pleasure and definitely a voyage of discovery for someone new to wine as much as more seasoned hands who wish to find something a bit different. I don’t want to take away from the magic of it all, but you can’t get the indigenous grapes box anymore, so there’s no harm my posting my thoughts. One of my favourite things about the website is that it stores your score out of 10 and any notes you’d like to make to help you remember the wine, so don’t scrimp on the note taking! This pale wine with a slight greenish tinge is made from the moschofilero and roditis grapes – both totally new to me. 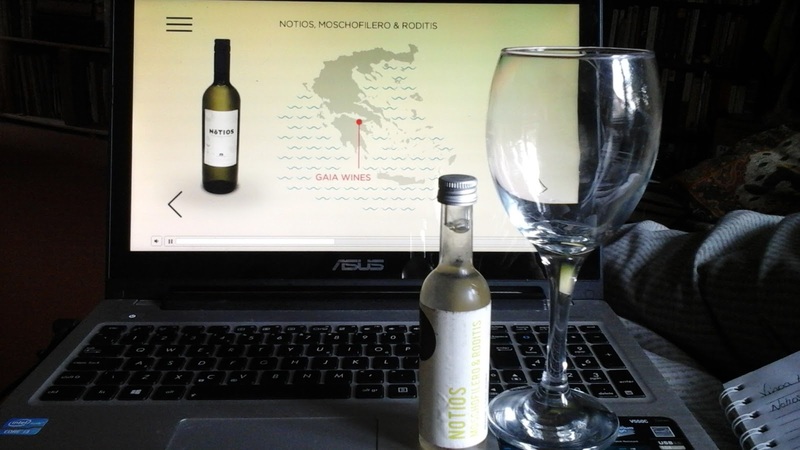 I don’t have the best opinion of Greek wine from prior experience, but there must be some good ones out there. This was a quite floral wine on the nose, with some elements of lemon and stone fruit. In the mouth it was relatively dry, with a medium fullness and sharp acidity that developed quite nicely in the mouth giving real flavours of white grape and green apple crispness. It had a really clean taste and a short finish which I would agree with Vinoa would match well with seafood and lemon, but wasn’t really to my tastes – a little too far on the acidic side. A beautifully pale rose which sadly had lost its slight ‘frizzante’ by the time I tried it – perhaps an element of the re-bottling process which is yet to be refined, or just because I had it for a while. Made predominantly of molinara, another new grape for me, with 20% merlot, this was very light on the nose but followed through with a very fruity, medium sweet wine with a fraction of a tannin hit and a good acid bite in the side of your cheeks across the finish. Very refreshing and I think would have been more so with the slight sparkle! For me the quality took a massive jump up at this point. This medium gold chardonnay had a rich smell which for me was ripe with vanilla and earthy notes, counter balanced by just a dash of light florality. Which is ironic as Vinoa’s notes said floral, fruity and spicy on the nose. Just goes to show that wine is completely subjective. I’ll have to agree to disagree on that one. In the mouth it was pure vanilla, initially being almost like ice cream with its slight chardonnay creaminess in comparison to the previous taste. It was fruity, but light on sweetness, full of intensity and balanced with a light acid which became more prevalent in the drinking. A great summery wine which holds the attention throughout. Another great wine, I had high hopes for this having sampled some of Bogle’s work when we visited California in the past. A petit syrah with a beautiful deep ruby colour this wine has great structure with all of the black fruit full flavour and slight peppery quality you would expect. The balance was perfect, with just enough jammy sweetness to ofset the full body and big tannins, with just a slight sourness on the finish preventing it from being truly awesome. Excellent with chargrilled meats of all varieties, a lovely find. You can try your first month with Vinoa for just £2 right now, so what are you waiting for?